A stroke is a brain attack. It is very serious, but many people go on to recover and live healthy lives. 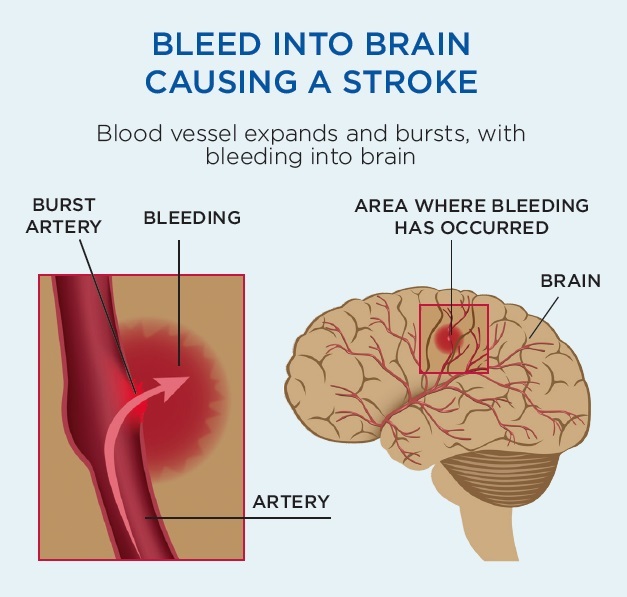 A stroke happens when a blockage such as a clot blocks the blood flow to the brain, or when a burst blood vessel bleeds into the brain. Around 9000 people have a stroke in New Zealand each year. On average, another New Zealander has a stroke every hour. Research shows stroke is a leading cause of death in New Zealand, behind heart disease and all cancers combined. But many, many New Zealanders who have a stroke recover and lead successful, happy lives. A stroke is a sudden interruption of blood flow to part of the brain causing it to stop working and eventually damaging brain cells. During a stroke, the cells in the affected part of the brain start to die and that part of the brain cannot work properly. This can affect a person’s ability to walk, talk, eat, see, read, socialise or do things they were able to do before the stroke. Many people with stroke may also have fatigue or problems with remembering, understanding or thinking properly. This short video is an excellent explanation of what a stroke is (courtesy of HealthSketch). There is a list of facts and FAQs about stroke and treatment here. Our Life After Stroke section also takes you through treatment, rehabilitation, and what to expect after a stroke - we strongly recommend this free resource. Ischaemic stroke: This is the most common type of stroke, particularly in older people. An ischaemic stroke occurs when a clot blocks an artery in the brain. The clot usually forms in a small blood vessel inside the brain that has become narrowed through high blood pressure, high cholesterol, diabetes or smoking. 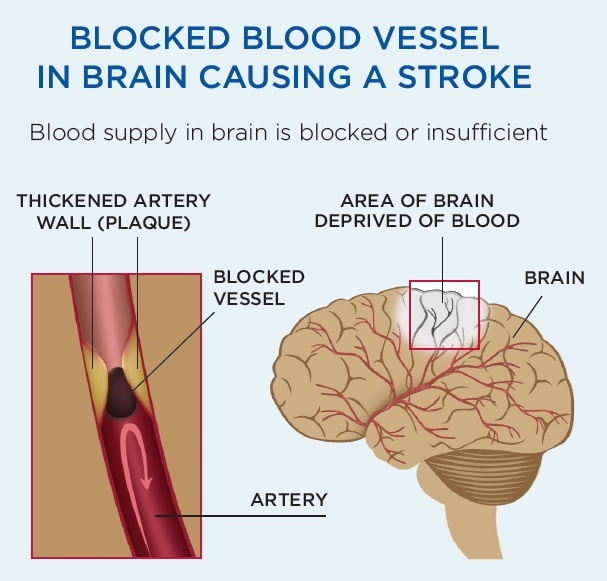 Embolic stroke: This occurs when a blood clot or piece of plaque (cholesterol or calcium deposits) on the wall of an artery breaks loose and travels to the brain. When this happens, the flow of oxygen-rich blood to the brain is blocked and tissue is damaged or dies. Haemorrhagic stroke: This occurs when an artery in the brain ruptures (bursts) and leaks blood into the brain (cerebral haemorrhage). This break in the blood pipeline means parts of the brain are deprived of blood and a stroke occurs. Blood irritates brain tissue, causing swelling and pressure, which cause further damage and loss of function. Subarachnoid haemorrhage (SAH) is when blood leaks into the surface of the brain. Intracranial haemorrhage (ICH) is when there is bleeding into the brain tissue itself. Different parts of the brain control a person’s movements, senses, emotions and intellectual functions. The effects of stroke depend on which part of the brain is damaged and how severe the damage is. Disabilities from stroke range from slight to severe. Some people make a speedy recovery and return to their normal lives. Others have disabilities that may improve with time and can be managed. For many, disabilities may last a lifetime. A small number of people will need full time medical care. There is a list of facts and FAQs about stroke and treatment here. Anyone can have a stroke. Although strokes often happen to older people, a quarter of all strokes in New Zealand occur in people of working age or younger – even children and babies have strokes. Stroke is largely preventable, yet each year about 9,000 people in this country have a stroke. This number would be more than halved if all the recommended actions to reduce stroke risks were taken in the community.